In 2015, the Era of Conscience movement whirlwind blew to California of the United States. 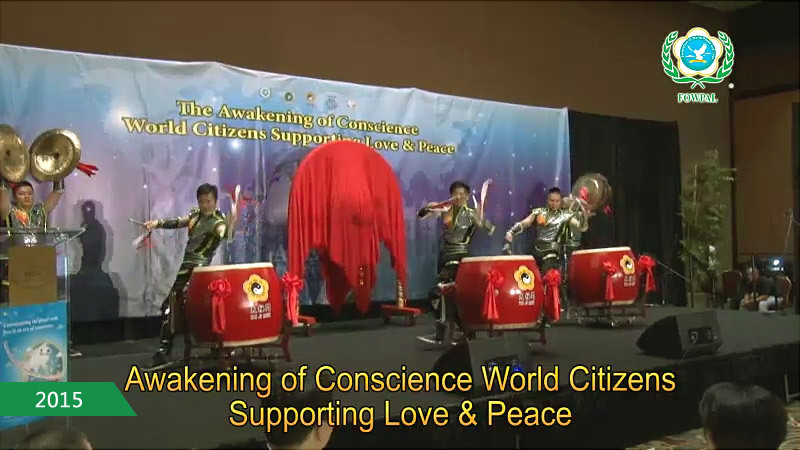 At the Hilton Los Angeles Universal City, a non-profit event called "The Awakening of Conscience-World Citizens Supporting Love & Peace" was held. More than 300 guests attended, including Hollywood superstars and leaders from all walks of life. Together they responded to the Era of Conscience movement and especially held the Ceremony of Ringing the Bell of World Peace and Love. FOWPAL President Hong, Tao-Tze was awarded the "Humanitarian Spirit Award."